Should we blacklist the Wrangler and keep 3 engis? As an alternative to altering the engineer class limit, another suggestion is blacklisting the wrangler while keeping the class limit the same. What do people think about this? Maybe its for engies more boring if you blacklist the wrangler. Because they cant actively shoot. Also the autoaim is more active. And you dont like that. 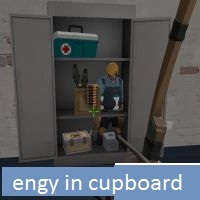 If you are in air, and the engie has the sentry wrangled, its harder to hit you. So you dont get shoot out of air instant. Also if the engie has the wrangler active, its easier to spy. 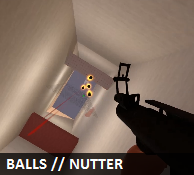 Because its not on autoaim. So remind, there are plus and minus for wrangler. The minus is that the shield is to good sometimes, but again, if you are an easy target its not fun. If you see the other poll, no one is for no engie. Veen, the ONLY issue I have with the Wrangler is the shield. If it were only the aiming capability then I think it would be fine. It's not about whether I'm shot out the air or not, most of the time I can dodge sentries on 3. It's actually on points 2 and 4 + garage I feel they get most lame, OR wrangled from/to point 1/5. Also, with regard to the other thread the voting is somewhat split on that poll. Currently 5 think 2 Engis vs 7 thinking more than 2, but no consensus as to whether it should be 3 or no limit. it's a public server, just leave it alone and have some fun. I'm trying but there are too many engis! Tell me if I'm wrong but the whole idea behind this game is to work as a TEAM to take sentries out. You're not supposed to do it on your own! 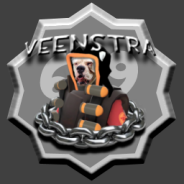 It's about communicating with your team, tell the spies to sap it and then start shooting the sentries or follow an uber in and help taking down the sentries. Its called TEAM Fortress 2 after all. I wear Levi s I think wrangler are a bit out dated. Exactly - and in the examples I quoted, you are talking about use of numbers of engineers that prevent them being taken down EVEN with a co-ordinated uber pair. Soldier vs Wrangler is a fail from the start, and a Demo will be unlikely to take down two wrangled sentries. I love the team play aspect, and I wish some people communicated a bit more, but as Astro and I discussed earlier there are strategies and plays that cannot be used on an alltalk server. Naturally, we don't want to lose the alltalk, so my suggestion(s) involve re-thinking another aspect. I'm not sure if that's a tactical suggestion or date invitation! Yeah, I'm putting it back to 3 and never messing again. It took eons to get the balance just right and I'm counting myself out of messing with it again. All hail for the lord has spoken!! Fully agree if its not broken or from Wigan leave it alone.